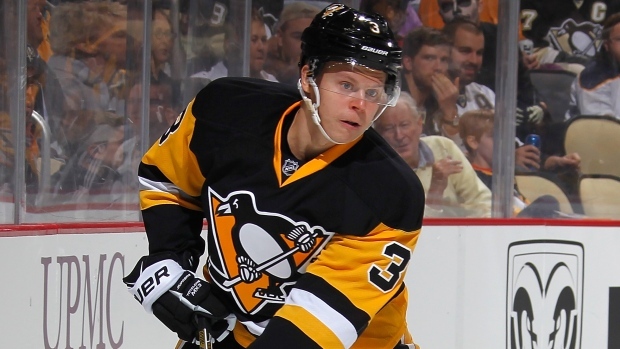 Pittsburgh Penguins defenceman Olli Maatta is out six weeks after undergoing surgery on his left hand. Maatta has one goal and six assists in 54 games this season for Pittsburgh. The Penguins are tied with Columbus for second in the Metropolitan Division behind Washington. Pittsburgh and the Blue Jackets meet in Columbus on Friday night. Pittsburgh defenceman Justin Schultz also sat out the third period on Thursday with an injury. The Penguins bolstered their defensive depth by recalling Cameron Gaunce and Steve Oleksy from the American Hockey League.